Much Hadham | Where Angells Tread! Some culture today! Continuing a theme of outdoor sculpture (here), and on Sally’s recommendation, we’ve traveled a lot further east than we normally do…the aim is to include the grounds of Henry Moore Foundation at Perry Green in our walk. We’re almost into Essex and the villages round here look very different to the Chilterns…and, thankfully, the weather has changed for the better too. Parking by the village church we head out south east, across the fields, towards Moor Place and Wynches, before following the lanes back to Hadham Mill. The sun’s out and the skies are azure blue…what a contrast to yesterday! 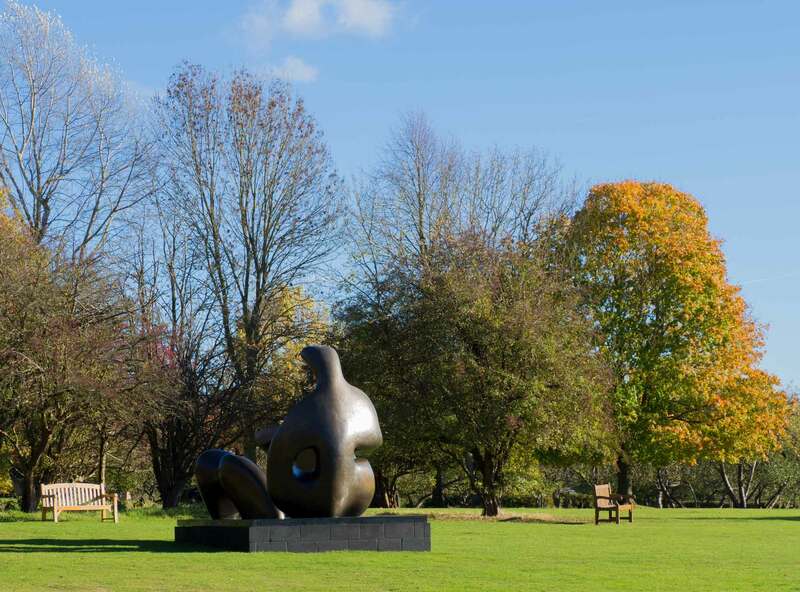 Our planned route takes us through the grounds of the Henry Moore Foundation…at least it would have done had the gates not been firmly locked and adorned with threatening notices, warning of angry dog patrols. Sue’s not up for an adventure today so we retrace our steps. Nevertheless we see enough Henry Moore sculptures to ask ‘What is it?‘ and ‘Is it art?‘ and generally scoff in our usual, unenlightened way. At Perry Green we hold a mid-walk conference. Either we push on towards Green Tye and loop back to Much Hadham or take the shorter, direct route to Much Hadham. I say ‘a conference’ but in reality the decision’s made with little discussion…we’re heading back…it turns out to be an inspired decision. We’re back in the village in time to finish the walk with tea and cakes at Hopley’s Cafe…definitely the highlight of our 6.1 mile walk. Pingback: Marlow Common | Where Angells Tread!